Dominated by the overwhelming wins by films The Favourite and Roma, the BAFTA 2019 offered a night of jewellery spotting and fabulous outfits. Vividly coloured gowns were teamed with predominantly diamond jewellery and few went for the passé matching parure look of earrings, necklace and ring. Instead most celebrities wore one key piece – think Amy Jackson’s Bulgari Serpenti diamond necklace or Cate Blanchett’s ring-only look (top) – for a sophisticated ensemble. The Instagram account Kensington Royal posted this image of the the Duke and Duchess of Cambridge. The Duchess wears for the first time in public South Sea drop earrings that used to belong to Princess Diana. Image: Kensington Royal Instagram account. 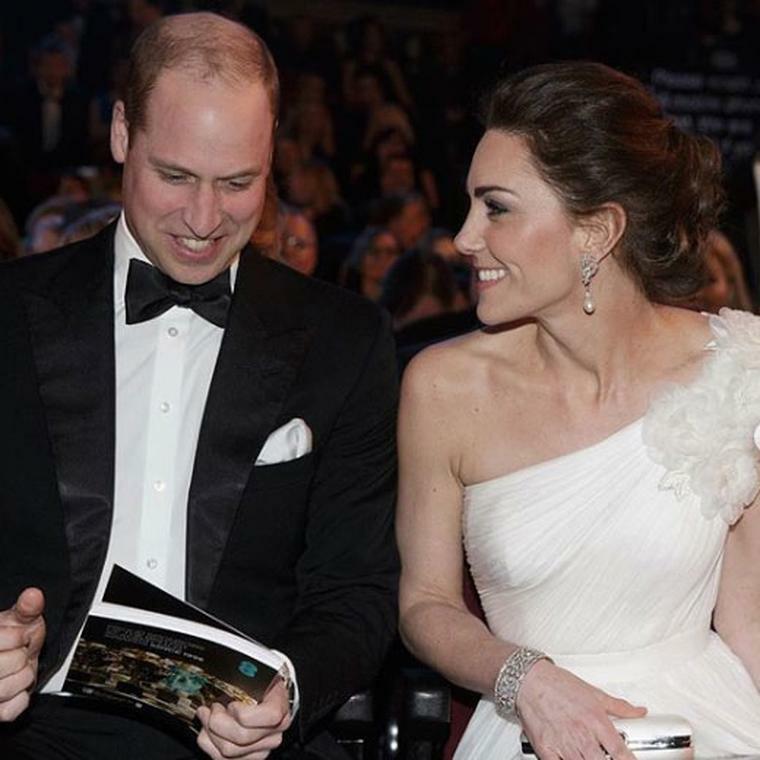 The Duke and Duchess of Cambridge added that uniquely British touch to the ceremony with their royal presence that sets this event apart from the rest. The jewellery highlight of the evening was seeing the Duchess of Cambridge (above) wearing the white South Sea pearl and diamond drop earrings that belonged to Princess Diana in a touching and stylish tribute to her late mother in law. While we are on the British theme, Olivia Colman, who won the award for best actress in The Favourite, chose to wear Atelier Swarovski Fine Jewels Lola Drop earrings by Penelope Cruz. Made of Fairtrade white gold they are set with ‘created’ or synthetic diamonds and can be yours for £2,995. Pearls are making something of a red carpet come back as seen on actress Elizabeth Debicki wearing Chopard’s “Haute Joaillerie Collection” pearl and diamond earrings. Pearls are having a red carpet moment as witnessed by Elizabeth Debicki’s (above) choice of wearing Chopard’s “Haute Joaillerie Collection” pearl and diamond earrings on the red carpet. Picking up on a trend for wearing jewellery in inventive ways, Laura Harrier pinned a Bulgari high jewellery brooch in her hair adding one of the few pops of jewellery colour to the night. Rachel Weisz, who picked up the best supporting actress award for her role in The Favourite wore Cartier as did Glenn Close, Amy Adams, Lily Collins and Claire Foy, but unfortunately Cartier was not able to supply images. Viola Davis chose the diamond Disco earrings by independent designer Fernando Jorge to complete her BAFTA 2019 red carpet look. Fernando Jorge was one of the few independent jewellers who dressed stars at the London event. One of the few independent designers to make it on to the red carpet last night was Brazilian-born jeweller Fernando Jorge. 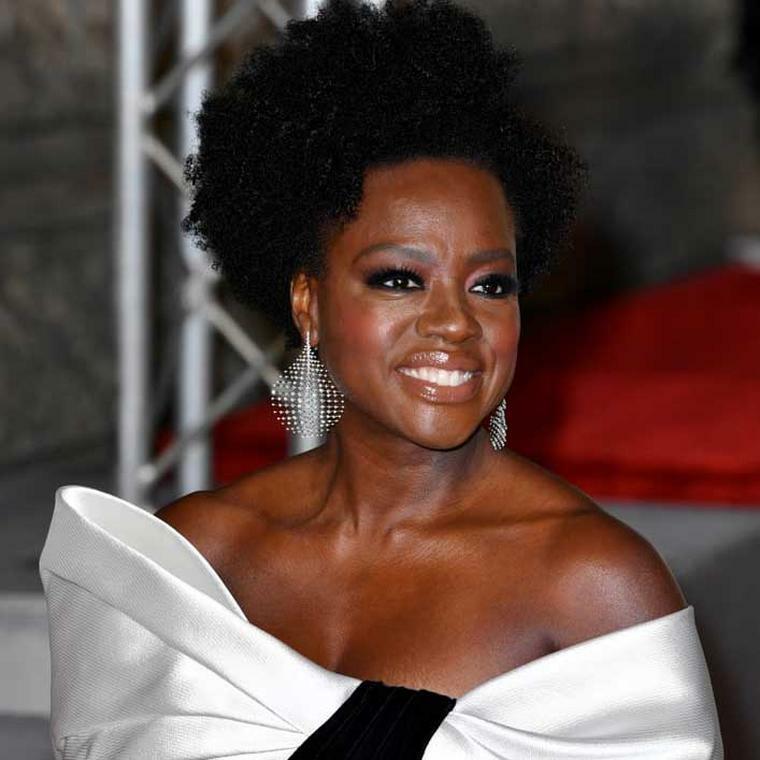 Viola Davis (above) chose his light-as-a-feather Disco earrings that ripple with life making the diamonds dance with each move. Cate Blanchett (top) can always be counted on for original jewellery choices. This year she wore a spectacular Christopher Kane gem-heavy gown and matched it brightly-hued matching Pomellato amethyst and London Blue Topaz Ritratto rings. Never one to shy away from fabulous jewels, Michelle Yeoh probably wore the most valuable gems of the night when she stepped onto the BAFTA red carpet wearing Moussaieff’s 74-carat yellow diamond pendant and 80 carats of white diamonds and earrings with 17 carats of yellow diamonds and 7 carats of white diamonds. But diamonds did rule the event and leading the way was Michelle Yeoh (above) who undoubtedly wore the most valuable diamonds of the night. Never one to shy away from fabulous jewels, Michelle stepped out on the red carpet wearing Moussaieff’s eye-wateringly valuable 74-carat Natural Fancy Intense Yellow diamond pendant set with another 80 carats of white diamonds likely worth more than all the other jewellery in the Albert Hall. There were of course matching earrings with 17 carats of Natural Fancy Intense Yellow diamonds and a further 7carats of white diamonds. Regina King added a judicious amount of diamond sparkle to her shocking pink Versace gown with Bulgari’s Divas’ Dream earrings. The female cast of Roma also headed to Bulgari for their red carpet moment with Yalitza Aparicio (above) and Marina de Tavira (below) in diamonds from this Italian jewellery house. Cate Blanchett went for a bejewelled look in a big way with a dress by Christopher Kane featuring outsized gems that matched her bright Pomellato gemstone Ritratto rings at the BAFTAS 2019. 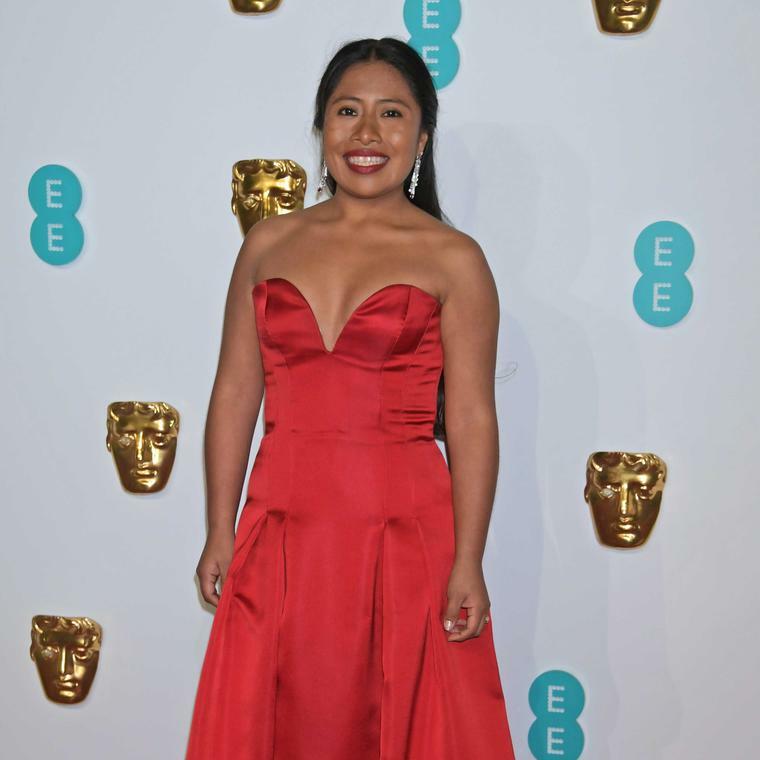 Roma that picked up 4 BAFTAs featured Mexican actress Marina de Tavira who opted for Bulgari jewels and chose the Divas’ Dream earrings and ring, as well as a Fiorever ring at the BAFTAS 2019. Picking up on a trend for wearing jewellery in inventive ways, Laura Harrier pinned a Bulgari high jewellery brooch in her hair at the BAFTAs 2019. Amy Jackson wears a Bulgari classic: the Serpenti diamond necklace at the BAFTAS 2019 in London to dramatic effect against her simple black dress and diva-style make up. Up next is the Academy Awards on Sunday 24th February so expect more high-voltage jewellery moments to light up the American red carpet. Keep tuned for coverage of who wore what jewels.